Cheesy and zesty and made in just 30 minutes in one skillet! 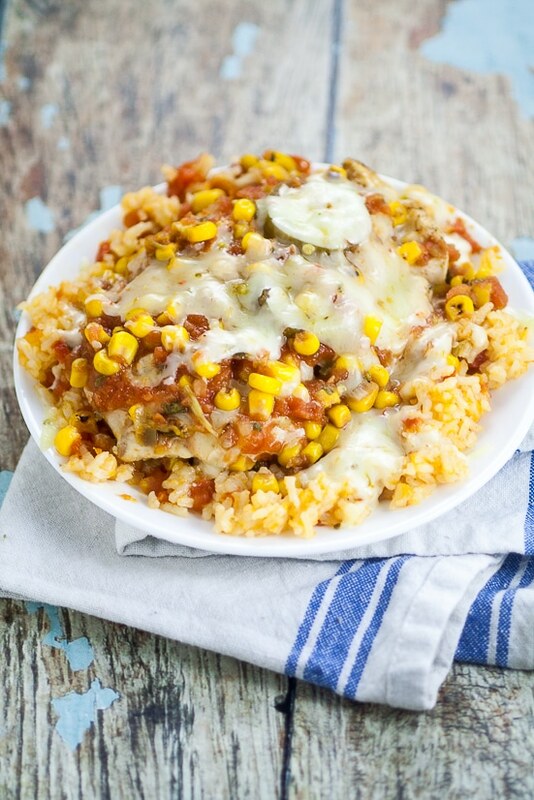 This Skillet Southwest Smothered Chicken recipe has it all and will be a new family favorite! I’ll eat anything that’s “Southwest” flavored. I don’t know why, but I just love it. 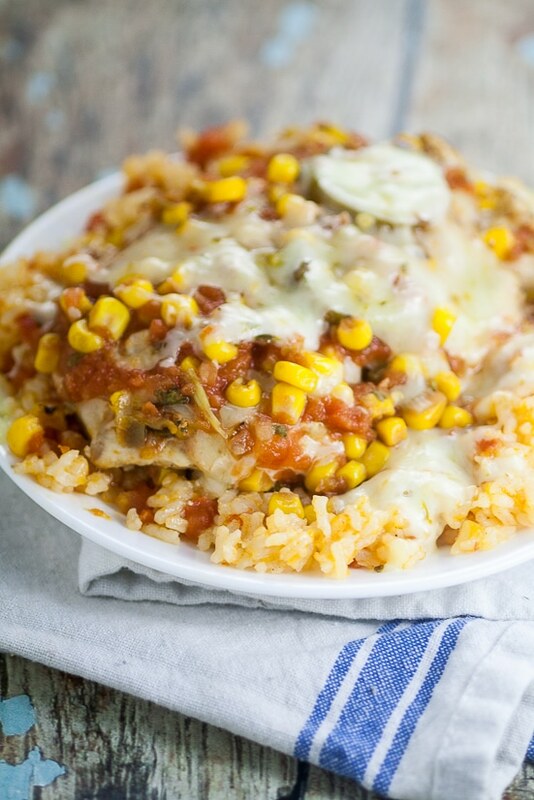 And I know you’ll love this Skillet Southwest Smothered Chicken, especially if you love classic Southwest flavors like I do, and even more importantly, if you love cheese as much as I do. 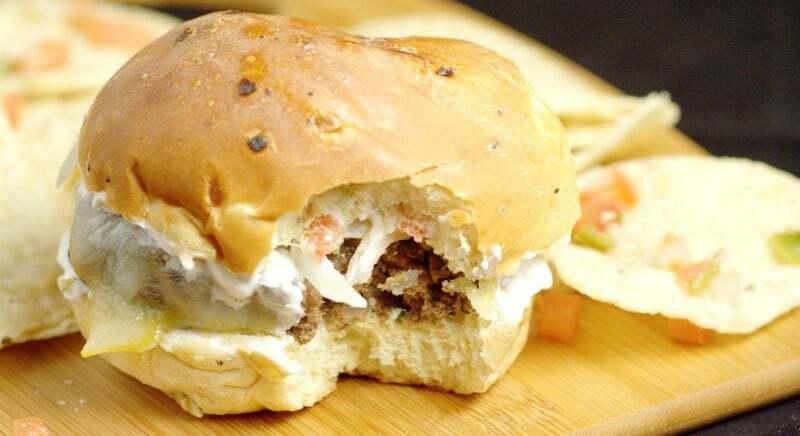 I mean, just look at all of that gooey cheese! Mmmm. This Skillet Southwest Smothered Chicken was semi-inspired by Chili’s Monterey Chicken, in that once I made it, I realized they were similar. I must have had cheesy Southwest chicken on the brain! To make your own Skillet Southwest Smothered Chicken, you’ll need a few ingredients. I know the ingredient list looks kind of long, but it’s mostly just seasonings that you probably already have in your cupboard, like chili powder, cumin, garlic powder, cayenne pepper, salt, and black pepper. Simple, right? In addition to the seasonings, you’ll also need chicken, corn, salsa, jalapenos, and lots of cheese! 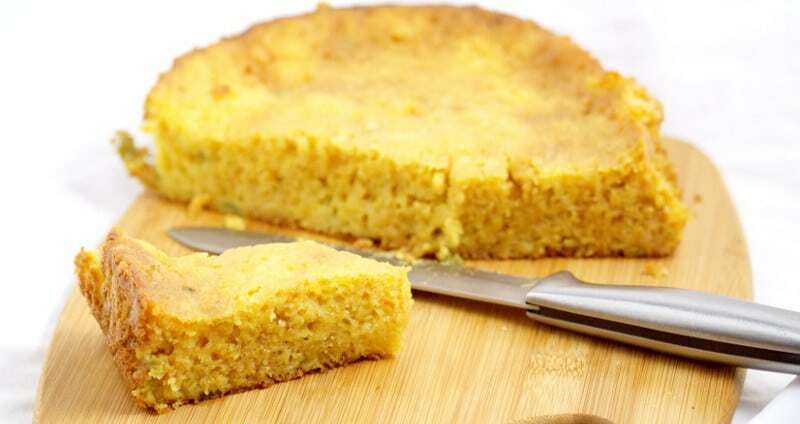 You can make this whole recipe in a large cast iron skillet if you have one. If you don’t, you can transfer the seared chicken to a 9″x13″ baking dish to finish baking. 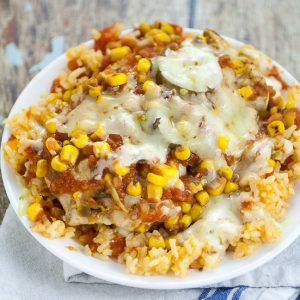 This Skillet Southwest Smothered Chicken takes only 30 minutes to make in one skillet and is well worth the effort! Serve it on a bed of Mexican rice and black beans. Yum! In a large cast iron skillet, add oil and heat over medium-high heat. While oil is heating, place cumin, chili powder, salt, garlic powder, black pepper, and cayenne pepper in a small mixing bowl. Stir to combine. Season chicken breasts with seasoning mixture. When oil is hot, add chicken and cook for 2 minutes on each side, until slightly browned. Remove from heat. In a large mixing bowl, place corn, salsa, jalapenos, and cheese. Pour cheese mixture on top of chicken, still in the skillet. 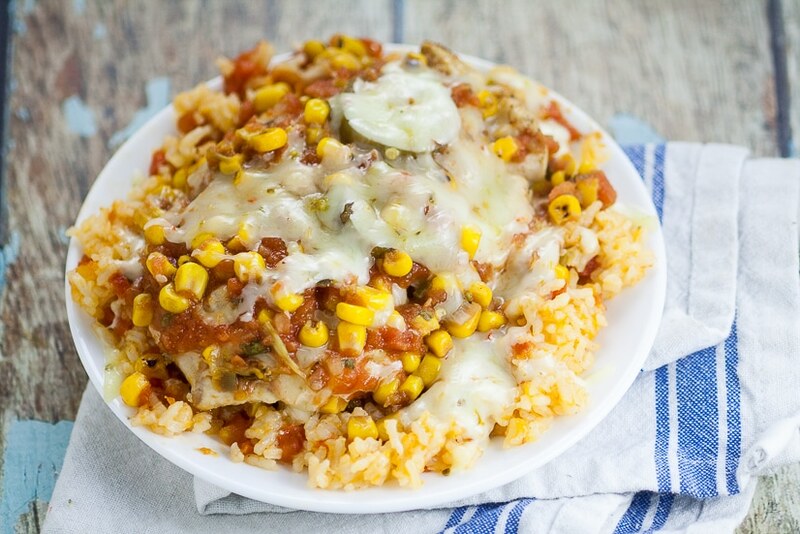 Place entire skillet with chicken topped with cheese mixture in the oven. Bake at 375° for about 10-15 minutes, until chicken is cooked through and cheese is melted and gooey. 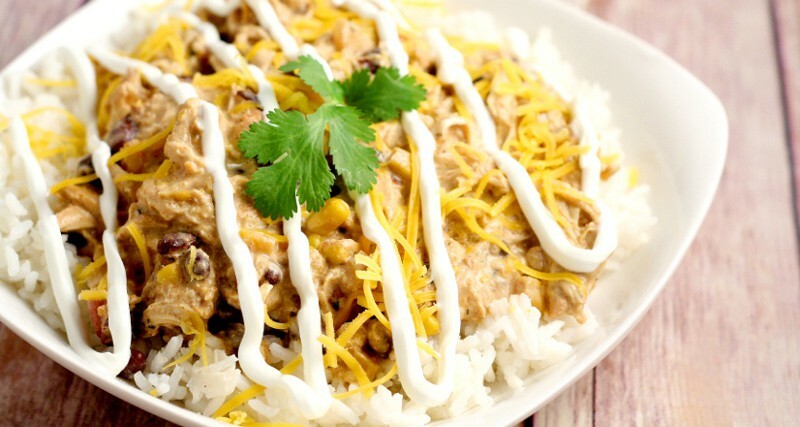 Serve warm on a bed of rice with beans. 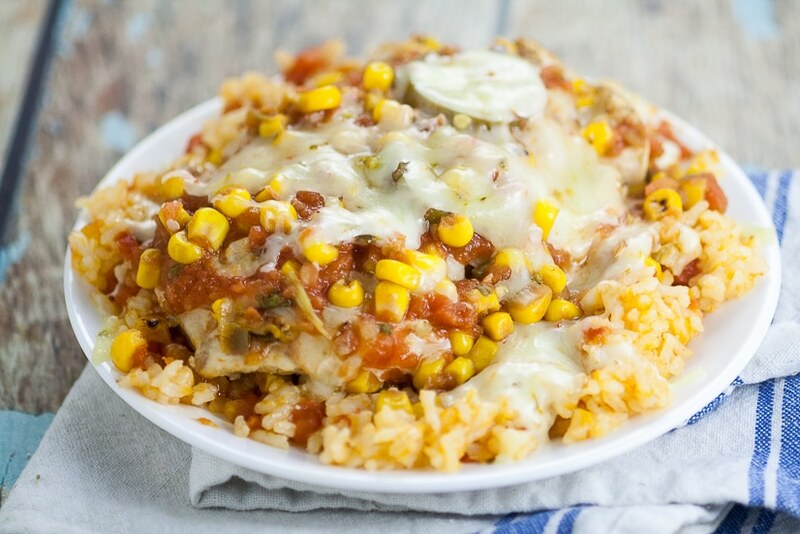 Did you like this Skillet Southwest Smothered Chicken recipe? 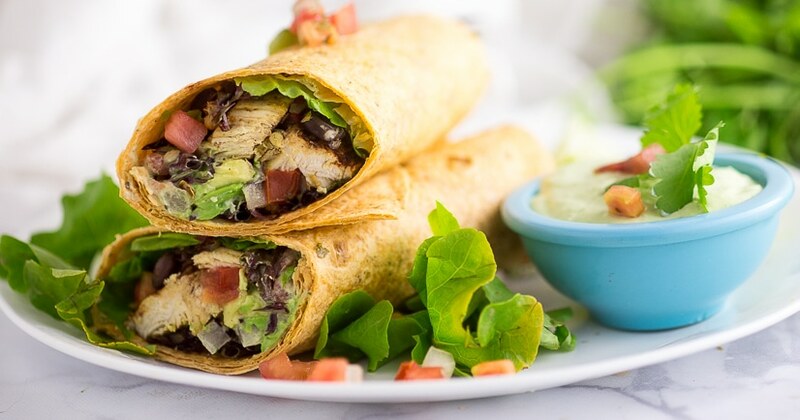 Find more on my Dinner Ideas board on Pinterest!